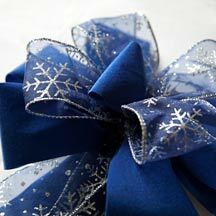 We ship the first, second or third weeks in December early in the week to avoid weekend delays. 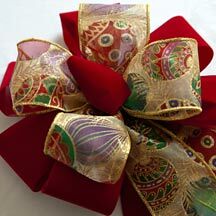 Please call or email us and we will confirm your order. You may pay by check or credit card. 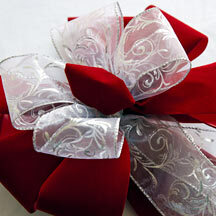 For Corporate giving quantity discount pricing, call for details. 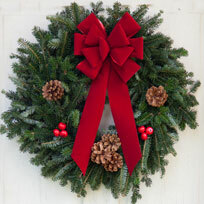 All Mail Order wreath prices include shipping! 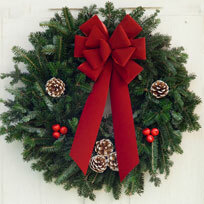 Corporate pricing is available on any wreath including custom. 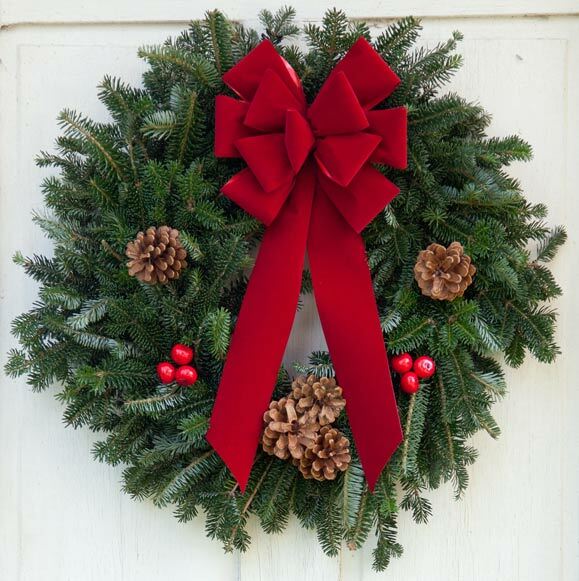 Prices below are for this wreath, 24" OD. 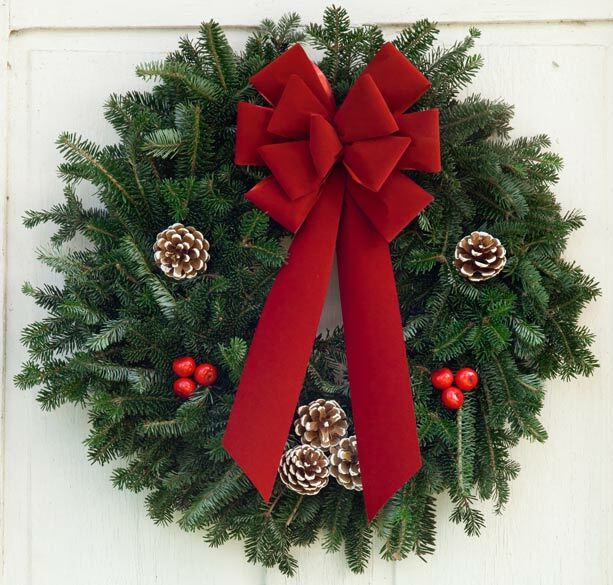 The time honored Red Velvet Bow & Pine Cones on this wreath have been a crowd pleaser forever. You may like a touch of white on the cones for your front door or gift giving. Plain and Simple Red and Green! 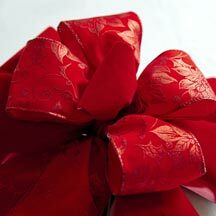 Great neighborhood or hostess gift!